Staffordshire is one area of England which is certainly not short of a ghost story or two! 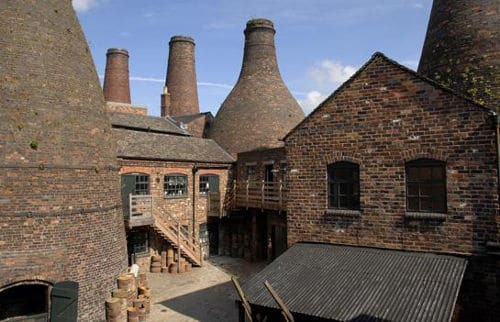 Gladstone Pottery Museum originally opened in 1787 and since then it has been plagued by tales of death due to industrial hazards. Just some of the ghostly apparitions that have been reported over the years include children in cloth caps playing ring a ring a roses in the courtyard, a bare knuckle fighter near the kilns who shouts at anyone getting too close and a lady in Victorian clothing who smells of Lavendar. 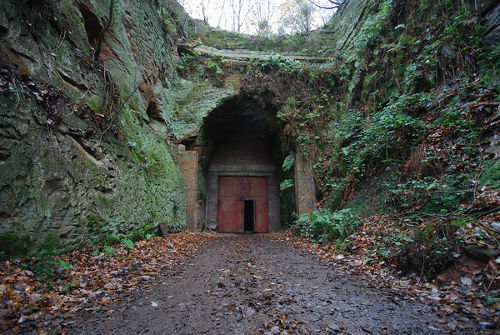 Hidden underneath Staffordshire’s Kingsford Country Park are the terrifying Drakelow Tunnels. They stretch out over around 3.5 miles and once served as a Nuclear bunker during the Cold War and as a bunker during World War II. It was originally built as a shadow factory for car manufacturer Rover who were supporting Britain’s war efforts by supplying the RAF with engines. It served as a backup facility in the event that any of the main Rover factories were destroyed. In the fifties, the tunnels were used as a Regional Seat of Government until the tunnels were brought to the attention of the public in 1963 by anti-war protestors. The site was eventually decommissioned and was sold in 1993 to private owners with the intention of developing housing and commercial properties. However, the preservation trust stepped in and fought to protect the tunnels as a site of historical significance. They were successful and development was put on hold – at least for now. Given all of this history, it is quite easy to see why Drakelow Tunnels are one of the most haunted places in Staffordshire! During the construction, it is believed that 6 people passed away as a result of a roof collapse. The vast majority of the paranormal activity in the tunnels is attributed to these poor souls. One of the most commonly reported spirits goes by the name of Oswald and he is thought to be one of the construction workers who dies in the collapse. He has a very mischievous nature and will run around touching people, pulling on their hair or clothing and moving objects around. Staff and visitors have heard wartime music playing over the tannoy system despite the electricity having been disconnected several years ago! Not all of the paranormal activity at Drakelow Tunnels is quite so benign. It is believed that during the period when the site was decommissioned it may have been used for satanic worship. This has left an imprint on the tunnels and it is said that a demonic entity is felt within the canteen area. Many visitors fee very uncomfortable here and the caretakers once found 2 dogs barking in a corner for no apparent reason and both animals were very distressed. Tutbury Castle has been around since about 1071, or possibly even earlier. It was built by the Normans and has played a very significant role in English history! One of the things that the castle is most well known for – aside from the ghosts – is that it was the place where Mary Queen of Scots was held captive not once, but on four separate occasions. It was also the place where the plot that led to her eventual death was conceived. 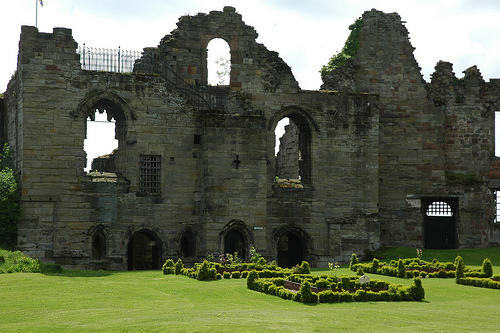 There are several ghosts that are said to haunt Tutbury Castle making it one of the most haunted places in Staffordshire. As you might expect, Mary Queen of Scots is said to be among them. She must have hated Tutbury Castle since it served as her prison so often, but nevertheless she appeared to a group of 40 men in 2004 standing atop the South Tower. This was not the first time that she has been seen in the castle. In the 1980s, a serving Marine also reported seeing her walking across the grass. She has been seen by archaeologists participating in a dig at the castle and by a senior member of the castle staff who has previously denied all paranormal activity! The credibility of the witnesses that have seen her give weight to the claim that Mary Queen of Scots is indeed haunting Tutbury Castle. The castle also plays host to a variety of other ghosts including a mysterious man in a full suit of armour, the White Lady in the North Tower, a little boy in a white shirt and a little girl named Ellie who trying to pull rings from visitors’ fingers! The Four Crosses was built in 1636 using old shipping timbers that are now almost 1000 years old! Over the years, a number of secret passages have been uncovered within the building and it is believed that there could be many more that have yet to be found. One of the most amazing finds was that of an old Coachman’s uniform that was preserved perfectly, behind a chimney for more than 150 years! The history of The Four Crosses is peppered with intrigue, mystery and tragedy. The most recent death happened in the nineteen-eighties when a young boy ran into the road outside and was killed instantly when struck by a passing car. There is also a story of a young baby who died after falling from a table in the 1800s and reports of several suicides in the building. 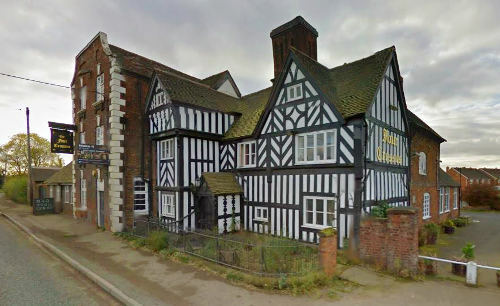 Now you can see why The Four Crosses is an important stop on any tour of haunted Staffordshire! Reports of the paranormal come in regularly at The Four Crosses from staff and visitors alike! The most common occurrences include children crying, glasses smashing and phantom footsteps. It seems like the ladies toilet are a focal point for paranormal activity ans the apparition of a young girl is often seen there. The reports of crying children and of shadow figures are equally common by day as they are by night. One particular experience occurred when the manager was opening up one morning in 2005. She found two flowers crossed on top of the toilet. She just assumed it was someone from the previous night that has done it and went about her business as usual. However, the next time she passed the toilets, a heavy candlestick from the fireplace had been moved and place in from of the door! Since she was on her own at the time, she was understandably freaked out! Other common reports of ghosts in The Four Crosses include an apparition of a Roundhead soldier in the men’s toilets, a tatty, unkempt teenage girl in the kitchen and a man in a long cloak in the car park on rainy nights! When most people hear the name Alton Towers they immediately think of the famous theme park, but what most of them do not realise is that the theme park is actually named after the mansion that stands in the grounds to this day. Those people also do not realise that it is one of the most haunted places in Staffordshire, if not the whole of the United Kingdom. 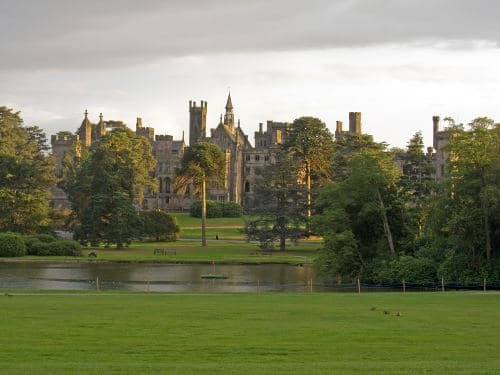 The site where the Alton Towers mansion stands has history that can be traced all the way back to 1000BC when there was apparently an Iron Age fort on the site. The site was handed to King Ceolred of Merica in 700AD, but within 7 years he had gone insane leading many to say that the land was cursed. This belief was strengthened in the 19th century with the legend of the old oak tree! The current Alton Towers mansion was transformed in the 1800s by Charles Talbot, 15th Earl of Shrewsbury. In 1821 he was headed hom to the mansion at night when his coach came upon an old beggar woman. He refused her request for help and she pointed to a nearby oak tree and told him that for every branch that fell one of the Talbot family would die. That same night, during a storm one of the family members did die due to a sudden illness. The following morning he checked the tree and found that a branch had indeed broken off. He attempted to ward off the curse by chaining up the tree – the chains are still visible today! In terms of ghosts, the most haunted area of Alton Towers is the appropriately named Hex ride! It is located in the old armoury of the mansion and those queuing up have often reported seeing children dressed in Victorian clothing and have had stones and other objects thrown at them! In the main house, a large man has been spotted and there have been phantom footsteps and a feeling of great anger in the area. The most common sighting is of a woman in a long dress who strolls the mansion’s corridors accompanied by a strong smell of perfume! It has been suggested that should may have been a governess at the mansion.